The first hundred days of Trump’s presidency finished with few legislative accomplishments in late April. President Trump encountered early resistance to his proposed health care overhaul and also struggled to progress meaningful tax or infrastructure reform. Since his inauguration, Trump may have created some of his own roadblocks by firing the FBI director investigating alleged Russian relations and by taunting his critics on social media. Markets remain optimistic about the economic growth potential of the new administration, but the level of optimism has tapered as Trump’s reform efforts stalled. France encountered its own political drama this quarter as Emmanuel Macron emerged victorious in a closely contested presidential election versus Marine Le Pen, dealing a blow to populist movements throughout Europe and putting an end to fears of a “Frexit”. For now, it seems the resolve of the remaining European Union members is as strong as ever to remain united. The U.K. is still preparing to leave the European Union. So far, the economic impact has been muted, but uncertainty remains as the country works through a complicated political process to formally terminate its membership. In the first quarter of 2017, the Eurozone’s gross domestic product (GDP) growth surpassed the U.S. for the first time since 2008. Despite this surge, the European Central Bank (ECB) hasn’t adjusted interest rates, creating an interesting divergence between the monetary policies of the Federal Reserve and the ECB. The Fed already raised rates twice this year, and expects to hike once more before year-end. The ECB, on the other hand, is employing negative interest rate policy at a time when their economic growth exceeds that of the U.S. The performance of foreign developed markets mirrors this divergence, with foreign developed markets, as measured by the MSCI EAFE Index, up 14.2% versus U.S. large cap stocks, represented by the S&P 500 Index, up 9.3%. Emerging markets also showed signs of stabilization and renewed economic growth. In China, railroad traffic and other leading GDP measures were generally positive. Political uncertainty over foreign trade subsided as Trump’s policies appear less protectionist than his campaign rhetoric. Given this tailwind, emerging markets, as measured by the MSCI Emerging Markets Index, was the best performing asset class through June 30, up 18.6%. The Federal Reserve finally embarked on a path of gradually raising interest rates and withdrawing monetary support. For years, investors have been concerned with the performance of their bond portfolios in a rising interest rate environment. If the beginning of 2017 is any indication, investors should be reassured that bonds can produce positive returns and continue to provide stability in a rising interest rate environment. Through the first six months of the year, the U.S. bond market, as measured by the Barclays U.S. Aggregate Bond Index, was up 2.3%. Following each Fed decision to raise short-term interest rates earlier this year, long-term interest rates actually declined. This may surprise some investors, but this is typical of how fixed income markets reacted in previous rate hike cycles. After all, while the Fed controls the absolute level of short-term interest rates, the bond market adjusts long-term rates (through the buying and selling of Treasury bonds) based on expectations of inflation and economic growth. The chart below illustrates how short-term rates rose much more than long-term rates in previous rate hike cycles. If short-term rates continue to rise faster than long-term rates, performance of intermediate to long-term bonds may not be as bad as feared. Similarly, investors with short-term bond portfolios can hold those bonds to maturity to avoid any principal loss and re-invest the proceeds at higher interest rates. The key to good bond performance is a slow and gradual increasing rate environment, similar to what we’ve seen this year. 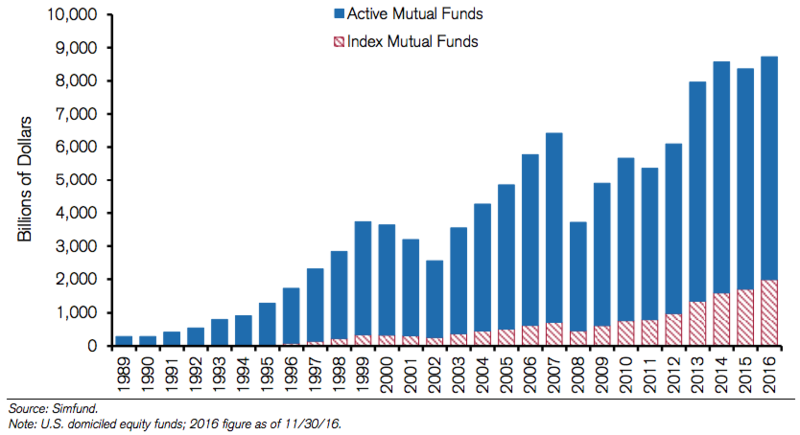 In other financial news, many publications recently highlighted the explosive growth of passive investment strategies as consumers are finally beginning to take notice of the damning track record of active management. Some financial pundits even questioned whether passive investing is itself another “bubble.” The logic of the argument is that if everyone uses a passive investment strategy, then the market will lose its ability to effectively differentiate between good and bad companies. This means securities will be bought and sold without regard to their individual attributes, but only according to a firm’s market-capitalization weighting in an index. Many active managers have rallied behind this argument as a way to justify their investment approach (and, thus, their fees). The major question for investors to consider is, “If passive investment strategies continue to gain popularity, at what point does it begin to negatively affect markets?” Research by Andrew Lo, Director of the MIT Laboratory for Financial Engineering, suggests that markets require relatively few active managers for price discovery to work properly. Price discovery is the process by which competing buyers and sellers use all available public information to determine the price of a security. Based upon MIT’s research and simulations, the price discovery process could continue to function properly even if passive strategies represented ~90% of total investment assets. 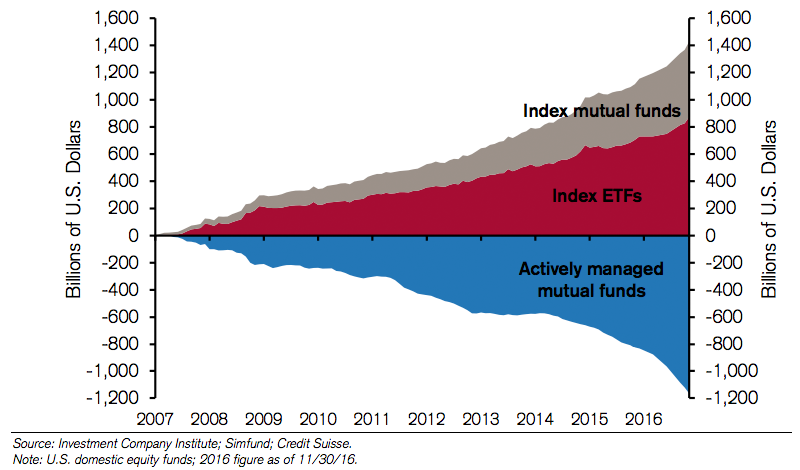 For reference, research issued by Moody’s Investors Service this year indicates that passive index strategies now represent 29% of the U.S. market. Even though Dr. Lo’s research would suggest we still have a long way to go, it’s important to consider another trend in the industry known as “factor-based” investing, which should also support price discovery. As you may recall, Truepoint’s portfolios use a combination of passive index and factor-based funds. Factor-based funds are similar to passive indices in that they’re well-diversified, transparent, and have clearly defined criteria for inclusion. The primary difference is that factor-based funds purposely overweight securities with specific, fundamental characteristics. In Truepoint’s portfolio, these factors represent an overweighting to value, high profitability, and smaller capitalization stocks. “Smart beta,” a new and often misunderstood term for factor-based investing, has recently become popular in the press. We view this trend as a positive development for investors and another way to avoid the potential market disruption from the increasing popularity of passive investment strategies. By definition, factor-based funds include securities based on specific attributes, not just its market-capitalization. The process is similar to how active managers select investments, but generally much more transparent, systematic, and cost-effective. As an example, if an individual stock becomes highly valued, it’s likely to be excluded or purposely underweighted in a factor-based fund that emphasizes value securities. As investors increasingly adopt factor-based funds in their portfolios, markets will likely continue to provide effective price discovery and function as intended. While not great news for active managers who use this as a reason to justify their fees, we believe this is a positive development for investors worldwide. While no one can predict how markets will finish the year, the first two quarters should be encouraging for investors. 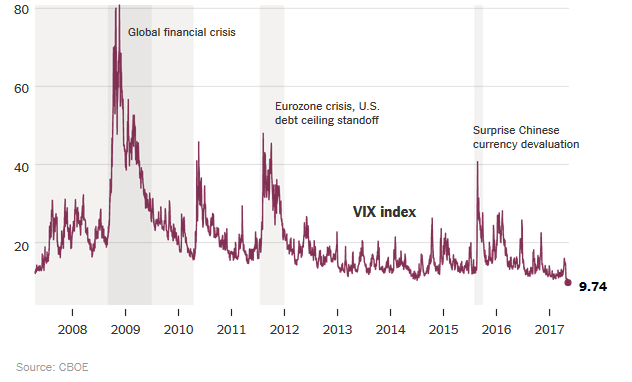 Declining political tensions against an improving global economic growth backdrop suggest no imminent recessions on the horizon. More importantly, investors should feel confident knowing that a passive or factor-based investment philosophy is not only prudent, but also a sustainable investment philosophy that will weather inevitable downturns and help bolster their long-term financial plan.